The 2018 Co-operative Education and Research Conference takes place on 1-2 May at Federation in Manchester – and will explore what ‘learning to do and learning to be’ look like today. 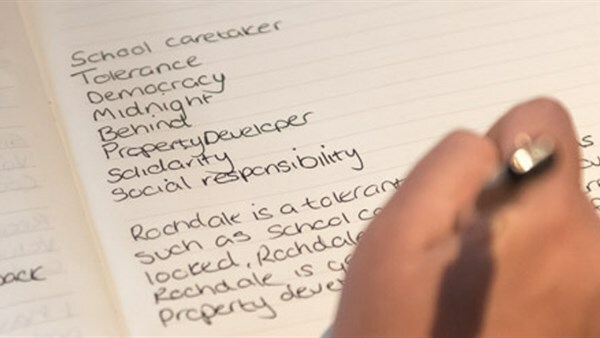 “In the 19th Century, the Rochdale Pioneers asked co-operators to learn how to ‘do’ – so that they could run successful businesses able to compete against capitalist enterprises, and how to ‘be’– so that they developed values, behaviours and solidarities essential to making the co-operative economy sustainable,” said a statement from the Co-operative College, which organises the event. Using this as a starting point, the conference will have two main strands: The Co-operative University; and Learning for New Co-operative Times. Over the two days there will be panels discussions, workshops and the presentation of papers. The College is now calling for proposals that fit in either strand. The idea for a Co-operative University was explored at a session at the 2017 Co-operative Congress, where Dr Cilla Ross, Co-operative College vice-principal, argued that the university as we know it “is in crisis” – and that the establishment of a co-operative university was a logical next step. The Education and Research Conference will continue this debate around co-operative pedagogy and ‘open’ education; co-op learning in communities; and co-op skills for the new world of work. The Learning for Co-operative Times strand will explore the social and solidarity economy; new opportunities for co-operation; and global perspectives, among others. In an era when the co-operative movement offers an “accountable, people-centred and values-driven alternative to the mainstream capitalist model”, the conference will “debate how ready the existing movement is to deal with new challenges”– and will look at the skills needed by people and organisations to develop sustainable, alternative organisations”. The deadline for 300 words abstracts is 14 February 2018. Notifications of acceptance will be sent on 7 March 2018. For more information on the different themes, session types and how to apply, visit the College website. If you would like any support in putting an abstract together, or wish to discuss potential topics, please contact Dr. Cilla Ross and Dr. Amanda Benson at the Co-operative College.